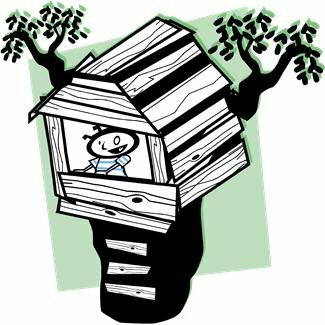 Did you have a treehouse as a kid? I never did. Mom didn't like us climbing trees. But we did build a treehouse of sorts for our kids. It was on stilts and overlooked a ravine so it felt like you were in a tree. Recently, I learned of a place in southern Oregon that is a resort full of treehouses! The Out 'n' About Treehouse Treesort is near Takilma, Oregon. There are several treehouses to choose from for overnight stays. They vary in size and accomodations. Some include a bathroom and others share a common bathhouse. Prices vary as well and start around $120 for a smaller treehouse. According to their website, they had a rough start getting licensed but were able to prove the worthiness of their treehouses and have now even established the Treehouse Institute of Takilma where you can learn to build a sturdy treehouse retreat of your own. Lots of activities are available as well. Take a look. It may just be the unique vacation you are looking for.